"The Crucifixion, By an Eye-Witness" is a curious tract published in the United States in 1907 by a Freemason, J. E. Richardson. The subtitle "Volume 2" is presumably an error, as no first volume seems to exist. The text was originally published in Germany during the 19th century by an anonymous author, believed to be a Mason and a "Lichtsfreunde" (a kind of Rationalist or Humanist). Richardson's daughter discovered a bad and rare English translation made in 1873 when perusing the papers of a prominent American Mason. To save the document for posterity, Richardson revised the translation and had the thing published. 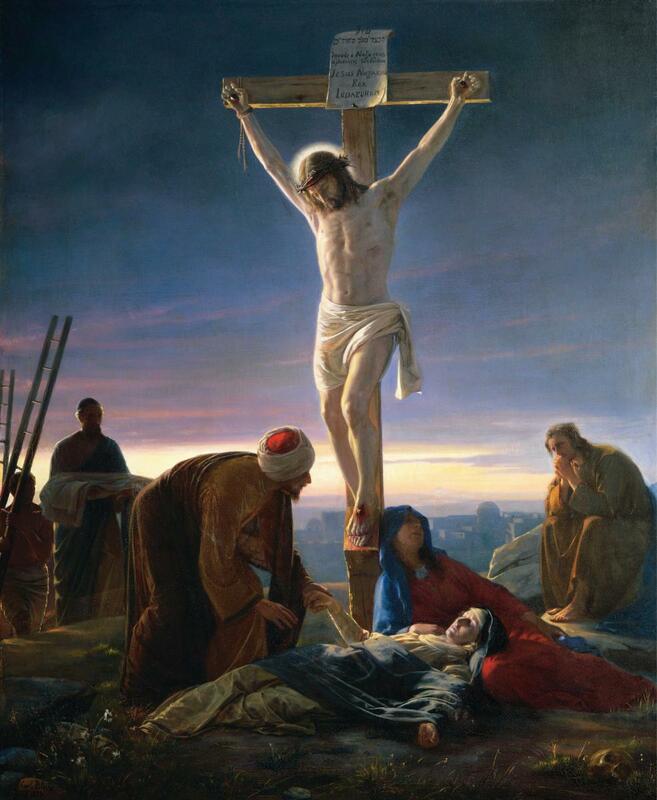 "The Crucifixion" purports to be an authentic eye-witness account of Jesus' crucifixion and resurrection, written seven years after the event. The writer claims to be a member of the Essene Brotherhood, and his letter is addressed to another Essene in Alexandria. As can be expected from a modern, rationalist forgery, the document gives wholly naturalistic explanations for the miracles surrounding Jesus. Thus, it strongly suggests that Jesus was conceived in the usual way, and that Jesus' father was an Essene. The easily impressionable Mary believed that her lover was an angel! Later, both Joseph and Jesus (but apparently not Mary) are initiated into the Essene Order. Jesus falls in love with Mary Magdalene, but abstains from marrying her due to his vow of celibacy. Somehow, the miraculous version of the story is much easier to believe! It's also interesting to note that the Essenes are portrayed as a charitable, Masonic brotherhood with secret recognition signs, degrees of initiation and a preoccupation with healing. This, of course, is no co-incidence, the original author of the "eye-witness account" presumably belonging to such a fraternity himself. I'm not sure why this work is said to be 200 pages long. The version I accessed on the web (at a Sikh website!) was about 20 pages. "The Crucifixion, By an Eyewitness" could be of some interest to people studying rejected knowledge claims about the Essenes, but in and of itself, it's a frankly silly story, which leaves the reader unmoved, or wondering why on earth it was written in the first place. To give some German Masonic lodge a fanciful prehistory? This piece of "cruci-fiction" only deserves two stars.